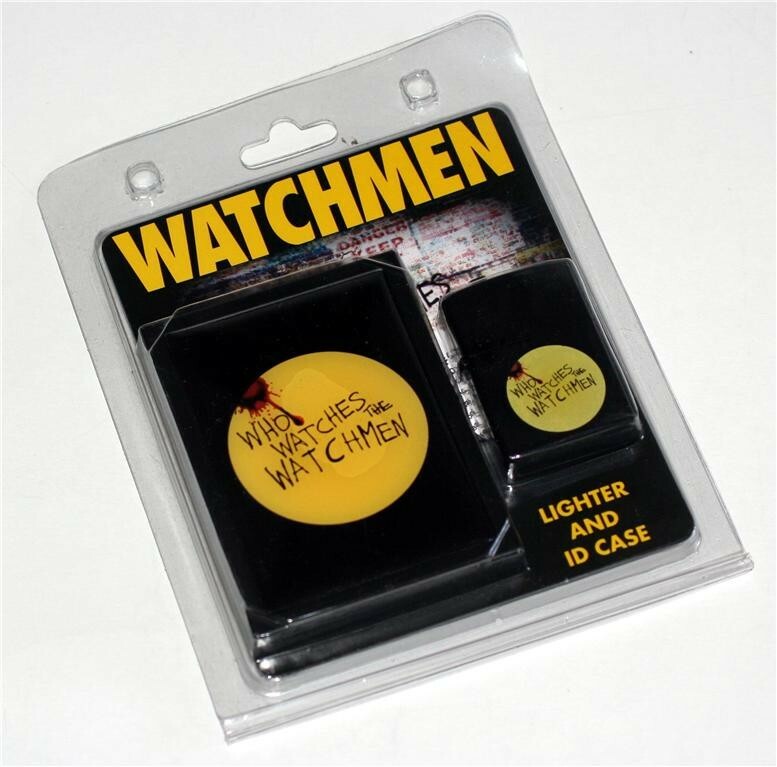 This metal ID case and lighter set is a great gift for any Watchmen fan! 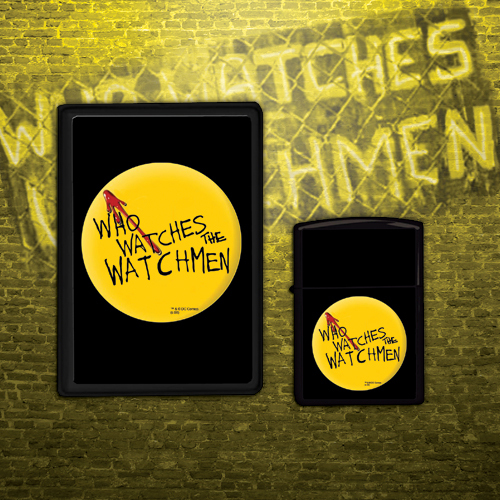 Both pieces feature the blood-spattered Doomsday Clock and “Who Watches the Watchmen” graffiti. The case has a tension arm inside to hold cards and cash securely. At less than half an inch thick, it fits nicely in your back pocket or purse! Refillable flip-top lighter measures 2.25×1.5×0.5″. ID Case measures 4x3x0.4″.